Communicating Across the Tracks, is an article by George J. Sefa Dei published in Orbit Magazine in 2003. The article looks at the challenging aspect faced by teachers of ensuring all inclusive education in classrooms and communities. The author implies that anti-racism initiatives start with asking “critical questions”, to understand why we allow existence of “two-tier” systems. The “two-tier system” caters resources to schools depending on the economic status of the community such as “state of the art science labs … in wealthy areas and not in lower income areas”. 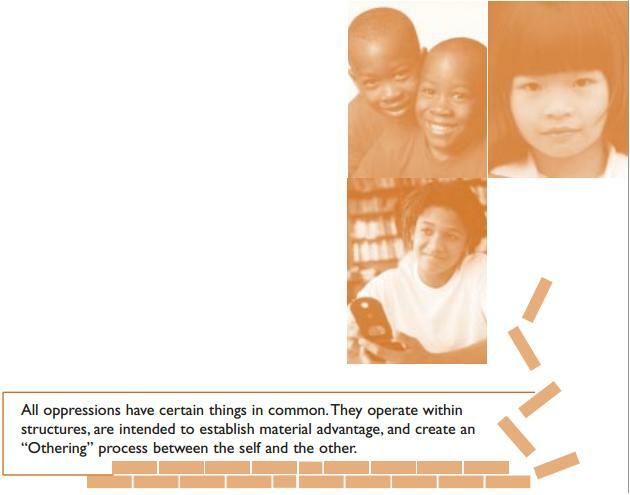 The article seeks to put forth the dangers of ignoring racial differences as well as recognizing racial differences “without responding to difference.” The author stresses the importance of building student identities and confidence while adhering to and recognizing individual differences by ensuring every student feels welcomed and “has a right and the responsibility to have a voice that must be heard”. For the article visit http://www.interactivistlearning.com/Jenny/CollegeAuditTool/Anti-racist-education.pdf.